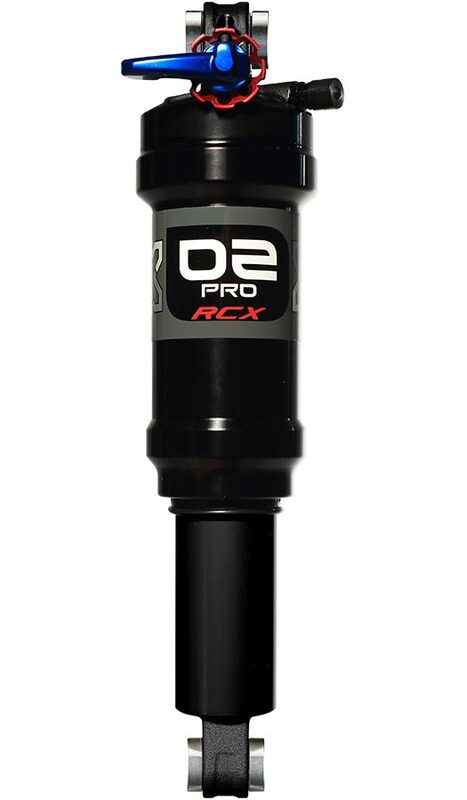 The 02 series line of shocks see a host of changes for 2016, including a new air canister design which adds 15% more air for smoother ramp up, increased tuning options with three different size air-can volume spacers, larger and more ergonomic knobs to allow for easier access to the adjustments, and a new name: 02 Pro. Developed over a two year period with the help of pro racer Brian Lopes, the 02 Pro line has a model for every occasion. Pick between models that feature multiple stage compression adjustment, on the fly lockout, or even a handlebar remote lock out. New air sleeve provides a lower air-spring compression ratio for a more linear. New compression and rebound tunes for better small bump sensitivity and maximum efficiency. Additional Volume (AV) air-sleeve option provides a more linear air-spring to match certain frame designs.